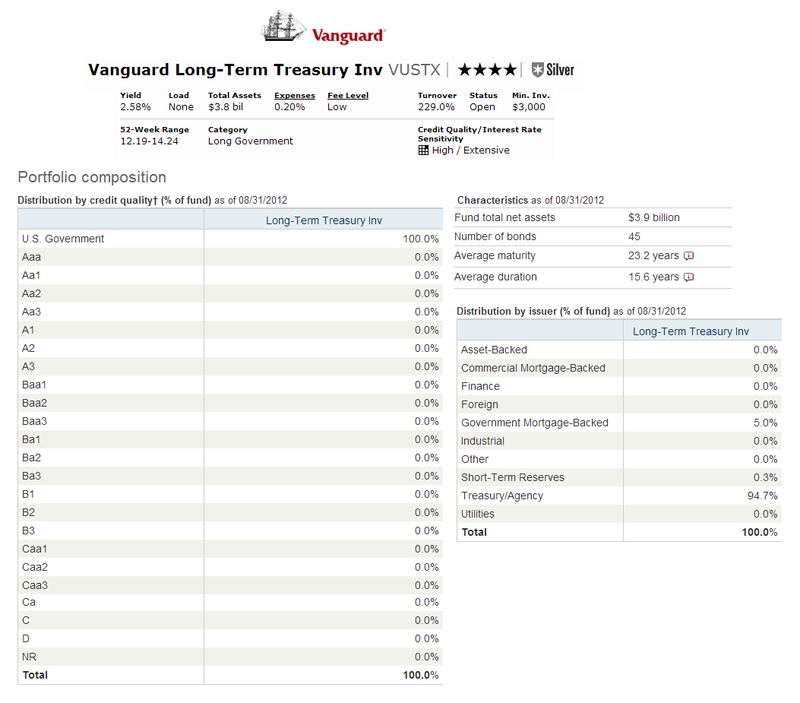 As one of the Vanguard fund, it has total net assets of $3.93 billion. The Investor class fund was first introduced to public in 1986. David R. Glocke is the current fund manager. Its annual expense ratio is only 0.20%. The portfolio holdings turnover is rather high 229% as of September 27, 2012. There is no management fee and also no front-end sales load fee. It has 4-stars and Silver rating from Morningstar. Investors can buy this mutual fund with $3,000 initial funding for brokerage account. This fund is available for purchase through 94 brokerages. They are E Trade Financial, JP Morgan, T Rowe Price, EP Fee Small, Schwab Institutional, Fidelity Institutional Funds Network, Ameriprise Brokerage, etc. It has 0.20% of annual expense ratio. The distribution by issuer as of August 2012 is Treasury/ Agency (94.7%), Government Mortgage-Backed (5.0%) and Short-Term Reserves (0.3%). 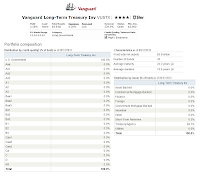 The other class of this fund is Admiral Shares (VUSUX). According to the fund prospectus, the investment risks are interest rate risk, manager risk, market risk, fixed income risk, etc.